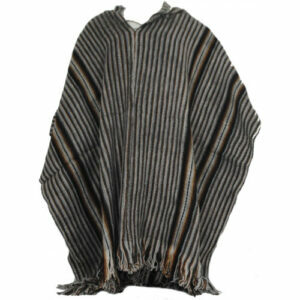 It can be worn over the shoulder or around the waist. 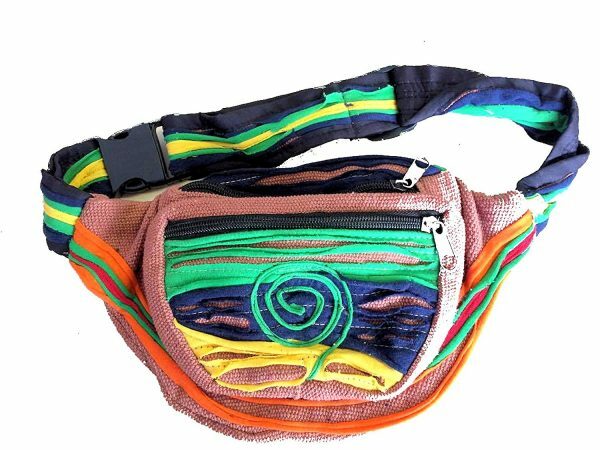 100% Cotton Fair Trade Funky Bumbag. funky hippy bum bag. 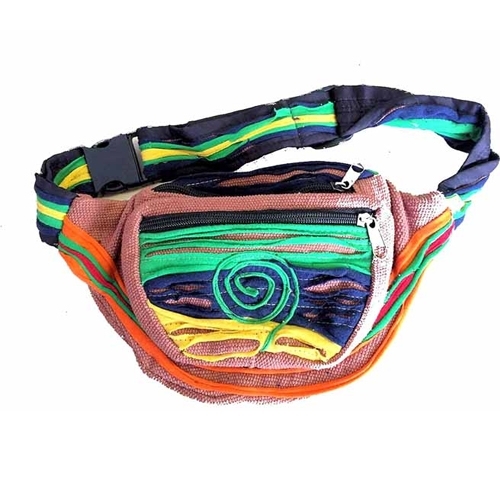 This is a fair trade item sourced from a small fair trade Nepalese outlet in Asia who work directly with the artisans to give a fair and sustainable price for their work. Motif on front may differ. 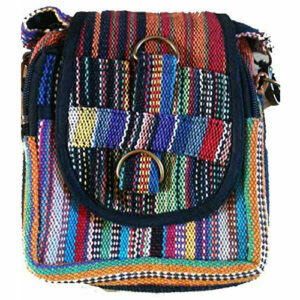 The bag is a must have for festivals, holidays, travelling or to brighten up day to day living! Funky bright designs – they are unique, not mass produced, each one has a different bright and funky design and they are made to a high standard. A unique bag you wont find in the highstreet, makes a fantastic gift for you or someone special Size of main pocket: 21cm wide x 13cm long Comprises: Adjustable strap with study clasps and buckle; Back large zip pocket; 1 front zip pouch; It can be worn over the shoulder or around the waist. Not factory made. Cool, hippy original,. hardy, practical and funky! 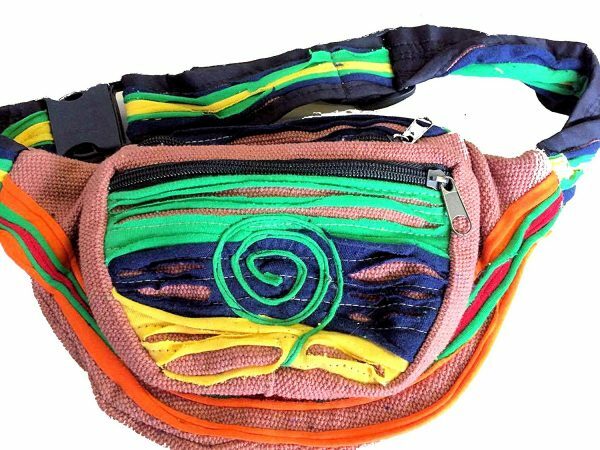 Great gift for a traveller, or festival goer – ideal size for keeping your passport/ tickets / money/ keys etc safe and hands-free.